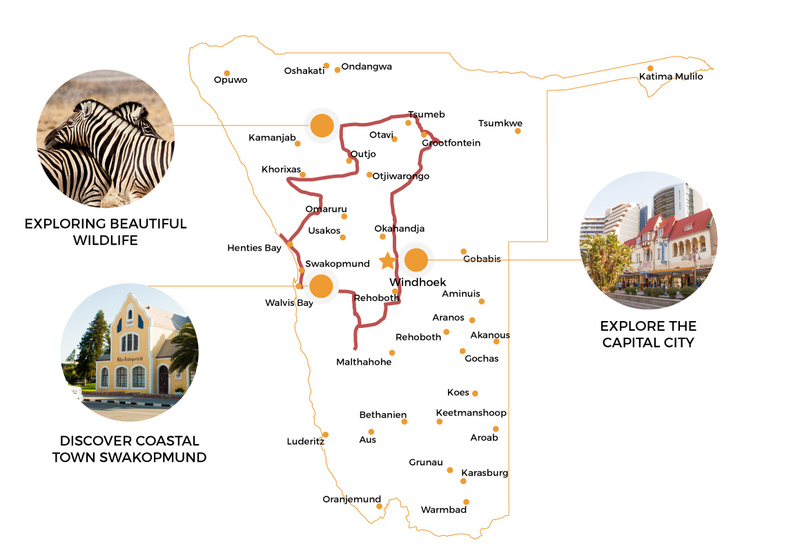 Discover Namibia’s most scenic spots during Route Highlights. 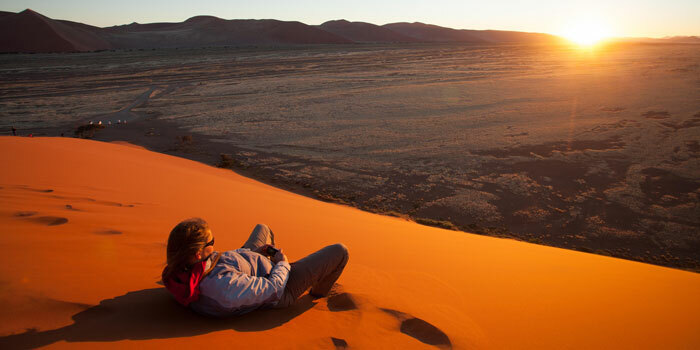 Enjoy a beautiful sunset in a sea of the world’s highest dunes at Sossusvlei, explore life at the Atlantic Ocean with a kayak or catamaran visiting the seal colonies, and wander around ancient rock paintings in Damaraland. Of course, the majestic Etosha National Park cannot be missed. Here, you will have the true African safari experience, full of beautiful wildlife! 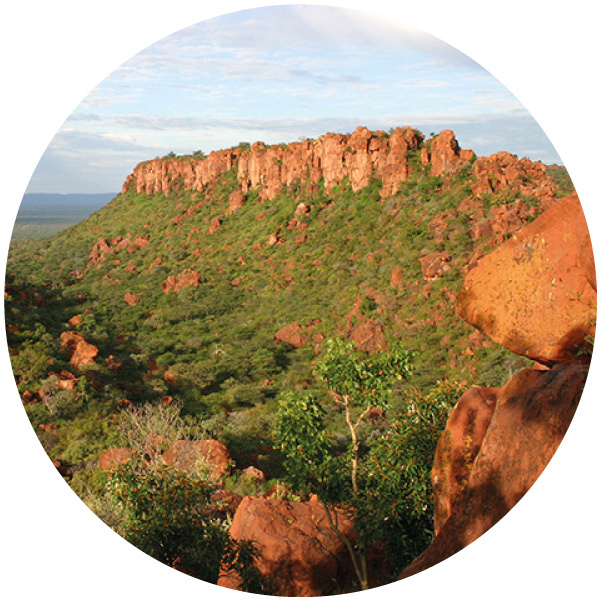 The Waterberg Plateau is a wonderful place to end your trip, walking one of the amazing hiking trails. After a night in Windhoek, your adventure starts by driving into the Kalahari Desert, consisting of beautiful colored savanna landscapes of red, yellow and, especially during the wet season, green. The Kalahari Desert is home to the San-people. Despite its name, meaning “great thirst”, the region does attract wildlife. 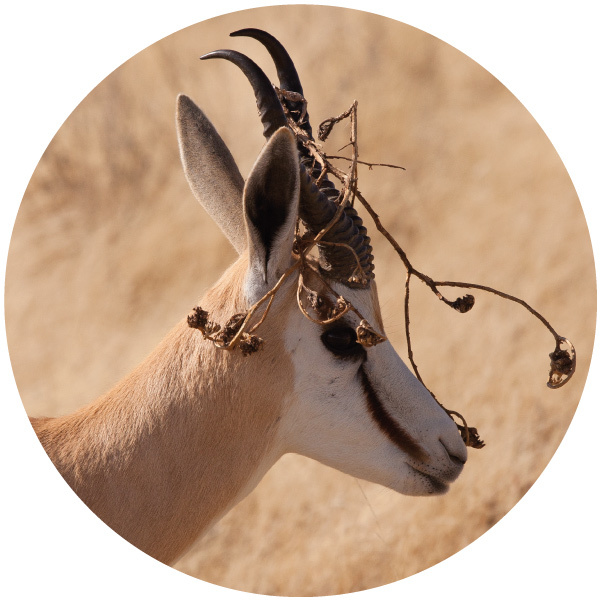 Go on a sunset safari and keep your eyes open for springboks, zebras and wildebeests. And relax on top of a dune with a cool drink in your hand, while this semi-desert reveals its most beautiful colors. End the day while gazing upon the starry sky. 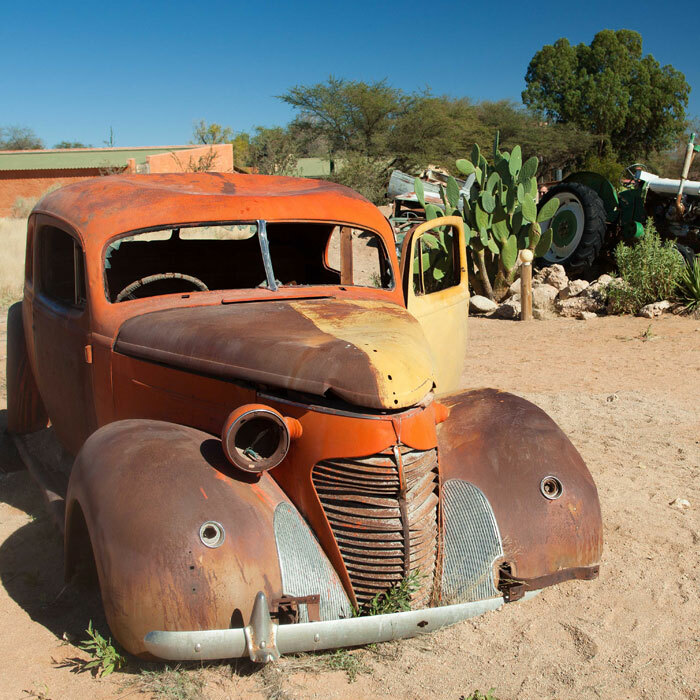 Landscapes will change over and over again while you drive to your next destination, Sossusvlei. This awe-inspiring sea of sand is located within Africa’s largest protected area, Namib-Naukluft Park. 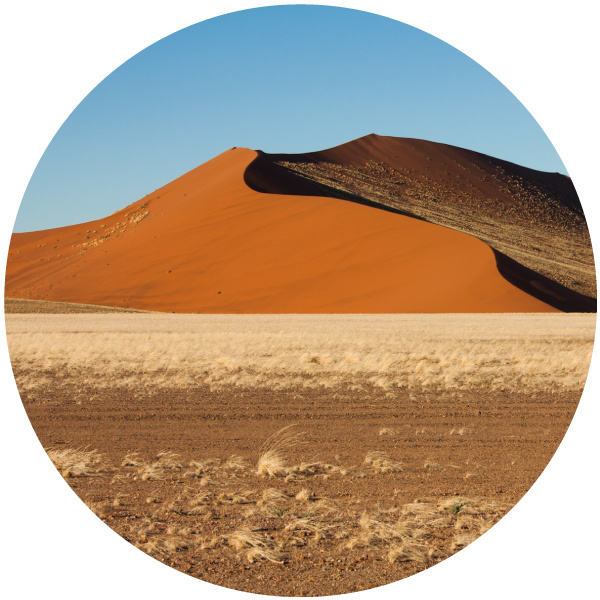 The most famous pictures of Namibia are definitely taken here: sharp lines that separate the intense red dunes of Sossusvlei, in contrast with an eye blinding white salt pan and scorched black trees at Deadvlei. It almost seems surreal! A climb on one of the world’s highest dunes of the oldest desert, will be rewarding by amazing views over the far stretching landscapes of the Namib sand sea, especially during an early sunrise or afternoon sunset. Enjoy a nice sea breeze at the Atlantic Coast while strolling around the coastal town of Swakopmund. This historical town has some characteristics of a German seaside resort: apart from the ocean, beach and swaying palm trees, this town is still carries some of its colonial influences. Enjoy a coffee with an “Apfelstrudel” or a “Schwarzwälder Kirschtorte” and look at some typical German architecture. 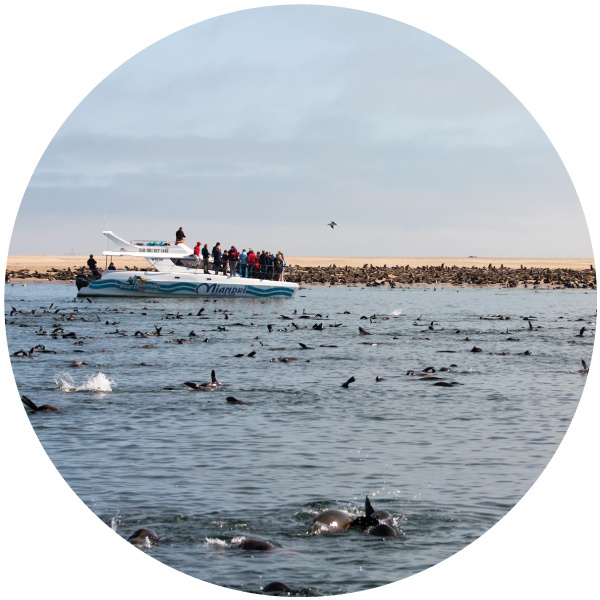 Although Swakopmund is an urban area, it is surrounded by nature, offering plenty of experiences for nature lovers and for thrill seekers: a kayaking tour or catamaran cruise to meet seals, pelicans and maybe even dolphins! Adrenaline seekers can take a sand board or quad bike and go into the dunes. A ``living desert tour`` is a great way to get more understanding of the miraculous way in which life adapts to the harsh conditions of the desert climate. The journey continues northwards, where you can make a stop at Cape Cross: as far as you look you will see seals scattered along the coast! You will then turn back inland, where you will see an enormous mountain looming ahead of you: the Brandberg, best known for its ancient “White Lady” rock painting. 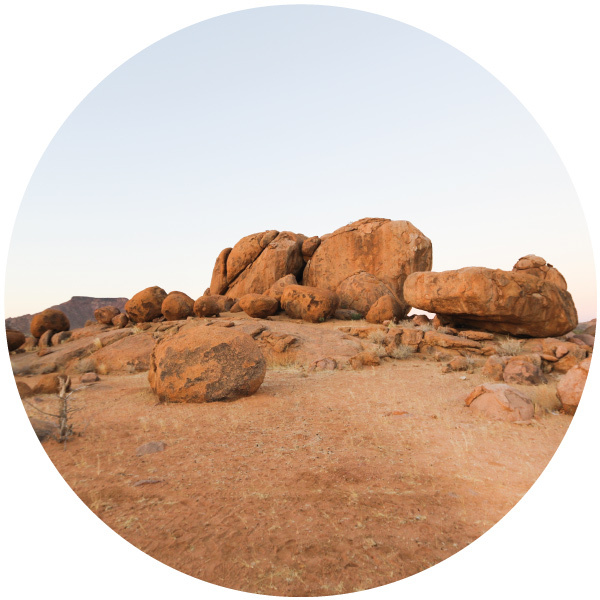 Entering beautiful Damaraland feels like you are going back in time. These ancient landscapes, scattered with enormous boulders and dry riverbeds, house the more than 2,500 rock engravings of Twyfelfontein, once made by the San-people to inform their fellow tribe members about nearby waterholes and possible predators. If you are lucky, you might bump into the largest inhabitants of the area, the mysterious desert elephants. These beautiful animals have remarkably adapted to the harsh conditions of the desert. 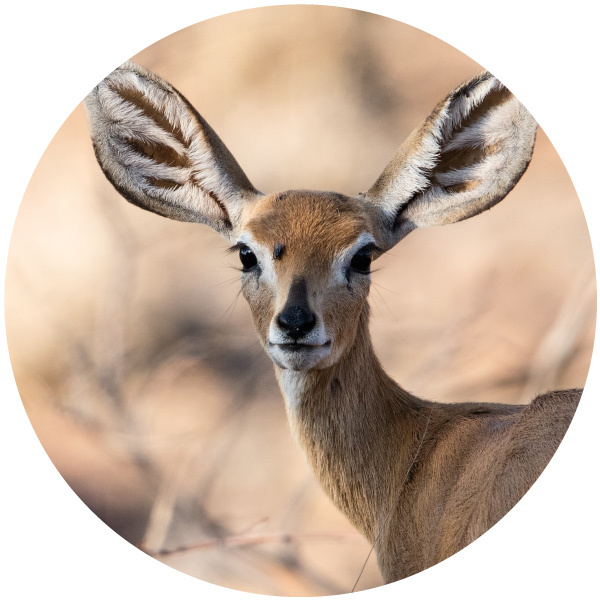 Take out your binoculars and explore the 22,270 square kilometers of protected nature within the Etosha National Park. The accommodations and campsites in the park give you the opportunity to travel through the park at a slow pace. Also, outside the park you will find nice lodges. You will be the driver of your own safari, which is unique in Africa. 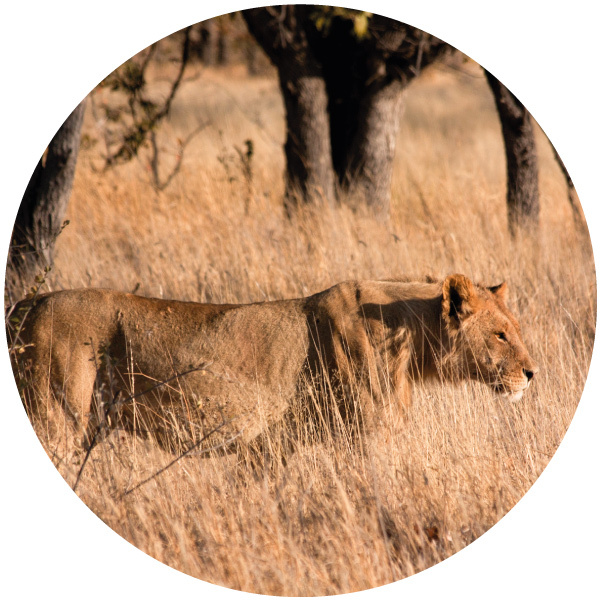 However, camps in and around the park do offer guided game drives. Look around for lions, cheetahs and leopards. 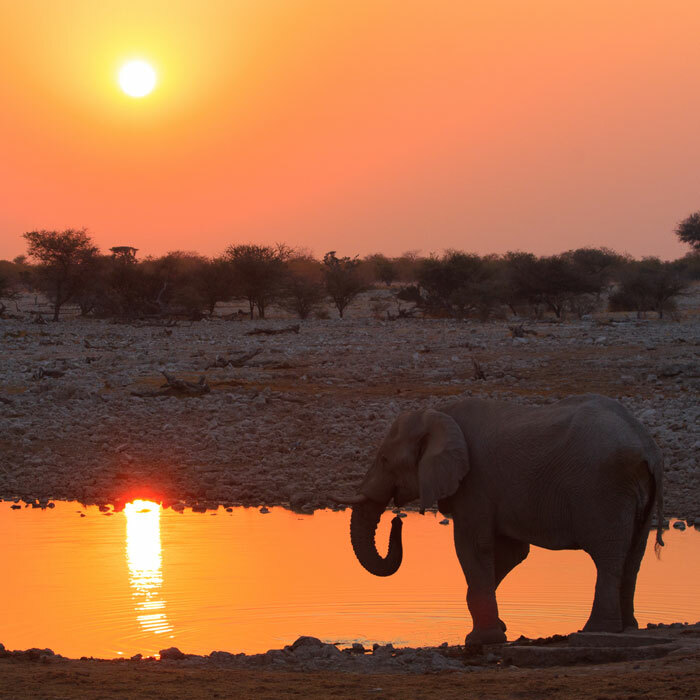 With sunset, make yourself comfortable at one of the park’s waterholes at your accommodation, and see how elephants, giraffes, zebras and antelopes gather to drink some fresh water. This is a truly unforgettable experience! Leaving the animal world of Etosha National Park behind, your next stop is the Waterberg Plateau, rising up from the surface for about 400 meters high at some places. 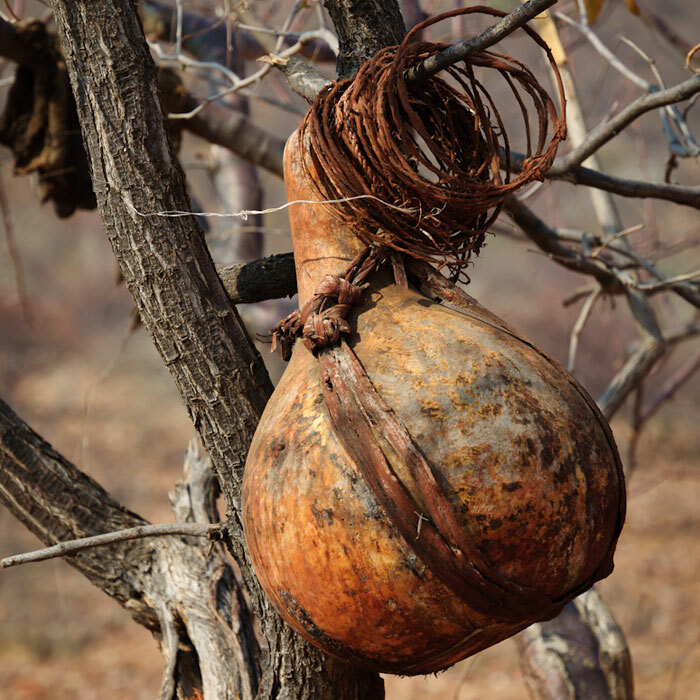 The Waterberg Plateau and 41,000 hectares of surrounding land was declared a Nature Reserve in 1972. The areas nature is again different than you experienced earlier. The brick-red sandstone plateau is crowned with lush vegetation and supports a wide diversity of flora and fauna. This national park lends itself for some nice hikes. Haven’t seen enough animals yet? Go on a game drive and look for buffalos or the white rhino. Your journey comes to an end in Windhoek. On your way to Windhoek it could be worthwhile to make a stop over at the craft market in Okahandja. Here you find nice wood work. Once back in Windhoek will have enough time to relax and rewind. It is almost time to fly home after this amazing adventure!